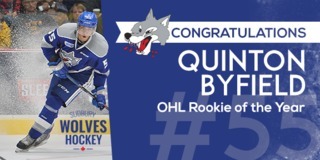 (Sudbury, ON) The Sudbury Wolves are pleased to reveal the new look jersey designs for the team’s home and away sweaters this season. The new jersey look is a serious over haul from the past 7 seasons which saw the team in a jersey with long and vertical styling. The change is being warmly received from players and staff and fans are encouraged to share their enthusiasm for the new look and the new season. 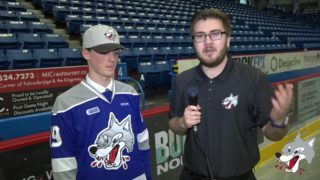 Reagan O’Grady and Blake Murray were on hand at Countryside Arena after the Wolves Hockey School among 40-50 people to reveal the jersey’s. 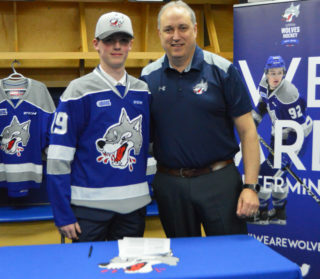 O’Grady sporting his familiar number 7 in the attractive blue jersey while Murray, the team’s first rounder in the 2017 selection showed off his new 92 white jersey for the fans and media in the audience. Fans who wish to pre-order their new jersey’s may do so by calling Vincze at Skater’s Edge Source for Sports or by visiting them in their new store location on the Kingsway or by visiting them on line. The new jersey’s are anticipated for training camp. 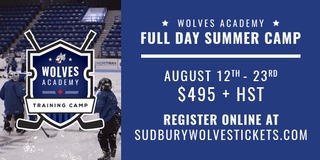 The Wolves Hockey Camp runs all week with dozens of happy hockey players participating. 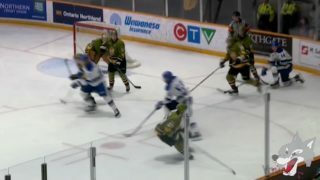 At the same time, the team prepares to the welcome 50 or so players to training camp on August 31st for the on-ice and off-ice training before the annual Blue and White game at 9am, Saturday September 2nd at the Sudbury Arena. 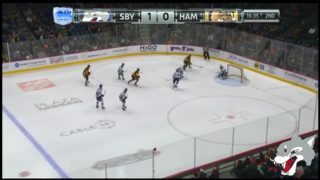 With training camp around the corner fans are encouraged to visit www.sudburywolvestickets.com to confirm their seats for the season or to call the office with any inquiries.